I am a big ‘foodie’ and I recently planned the menu for a grand Christmas meal for my friends and family, but the meal was basically a disaster. The problem is that my nephew is autistic and beyond picky about what he puts into his mouth. My sister has already offered not to come to my house for any future meals, but I really want our whole family together for the holidays and for my sister and nephew not to be part of the festivities would be tragic. 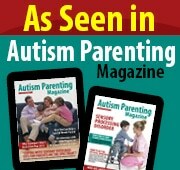 I recently read about gluten free/casein free diet that could actually help autistic kids recover. Is that true and if so, how could I convert my kitchen so that my nephew might really benefit in the future? Lauren W., Los Angeles, CA. I am so sorry that you found the Christmas meal so challenging, but let me tell you what a wonderful aunt and sister you are to be thinking of every which way to include your nephew at future holiday events. The gluten free/casein free diet (the elimination of wheat and dairy products) is based on the idea that gluten and casein produce substances (peptides) in the intestine that are not fully processed by children with autism and therefore are transmitted to the brain, leading to imbalances in neurotransmitters (Whitely & Shattock, 2002). There are some preliminary data to suggest that elimination of gluten and casein from the diet of autistic children may reduce symptoms (Lucarelli et al. 1995). More recently, Elder et al. (2006) reported positive symptom reduction in a small double-blind trial of gluten free/casein free diet. But overall, the claim by some parents that this diet cures autism has not been supported by scientific research. Additionally, a literature search found no published studies assessing the safety of a gluten free/casein free diet. As you suggest with your nephew, because many autistic children already have limited diets based on their sensory aversion to certain types and textures of foods, eliminating milk products, for example, potentially runs the risk of inadequate intake of protein, calcium and other essential vitamins in the diet, and there is preliminary evidence that a gluten free/casein free diet is associated with a decrease in bone density (Brudnak et al, 2002; Hediger et al. 2005). Families who are considering utilizing the diet should seek counsel from a nutritionist and perhaps an occupational therapist that specializes in feeding problems to ensure that they are providing adequately for their child’s nutritional needs. 1) Introduce new foods very gradually. Sometimes unpopular foods can be hidden in other foods if you, for example, blenderize to mask both the taste and texture of the novel product or add the new food to a source that he already likes, for example, a milkshake or cookie batter. 2) For some children, varying the way in which the food is presented may be the trick. Sometimes freezing pureed vegetables into popsicles may make them more interesting! 3) Children are often delighted to try foods that they have been involved in preparing. Make up a set of index cards illustrating how to prepare for example, spaghetti, and then put them in order, in a notebook or on a ring. If a child is not yet reading create photos of the child getting the spaghetti box out of the cupboard, getting the pot out, and putting water in it, etc. 4) If you live in the same town, you might also try involving your nephew in grocery shopping to try to spark his interest in new foods. I suggest making a visual shopping list ahead of time. Use a digital camera and make photographs of the actual items the child will need in the store. You can then put these onto a shopping list using Velcro tabs. This special list can help the child shop with you in the store while you are doing the marketing. Start with very simple foods and gradually increase the complexity as time goes on. Besides getting him to consider other food options, you are encouraging adaptive behaviors and important community and daily living skills. Most importantly, have fun this holiday with your nephew, let him know how much you enjoy his company, meet him at his developmental level (which may mean the lowering your expectations of what he will or will not eat) and who knows, this year may just be the year of eating adventurously -Bon Appetite! Dr. Esther Hess is a developmental psychologist and executive director of a multidisciplinary treatment facility in West Los Angeles, CA, Center for the Developing Mind. The Center specializes in the assessment, diagnosis and treatment of children, adolescents and young adults with developmental delays such as autism spectrum disorder and their families. Dr. Hess can be reached through the Center’s web site, www.centerforthedevelopingmind.com.